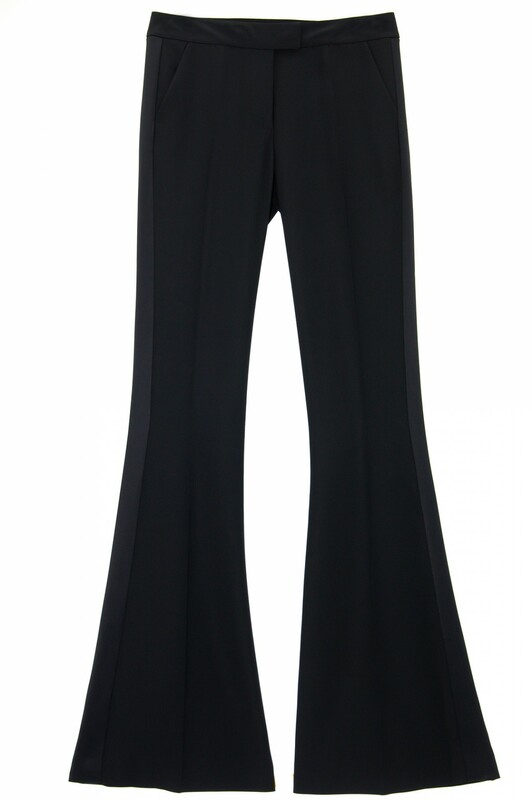 An elegant and fitted black crepe tuxedo pant, flared at the bottom and enhanced with satin strips along either side of the leg, to slim and lengthen your figure. Wear them with a fitted tuxedo jacket or a small, mesh top for a chic evening ensemble. Composition : 96% acetate, 4% elasthane.